Welcome To NaijasilverEntertainment blog: Sponsored: N2 million up for grabs in the Homevida 2016 call for nomination of feature and documentary! 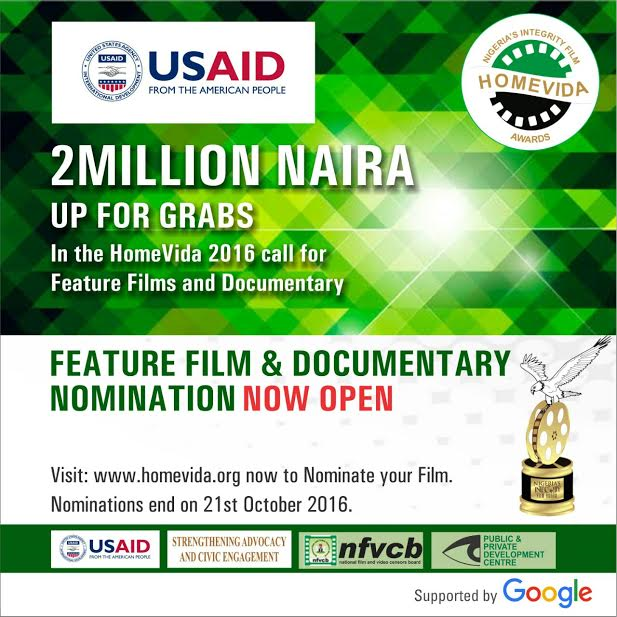 Sponsored: N2 million up for grabs in the Homevida 2016 call for nomination of feature and documentary! Simply visit www.homevida.org to nominate the film that best fits the criteria. Nominations end on Friday, 21st October 2016. What are you waiting for? Start Nominating! !! !! !